As I looked back over 2015, I wasn’t surprised to find that the number of books I had read declined from previous years. Taking on a larger role at the bird shelter meant less time for both audio and print reading. Not only was I volunteering to help out at the location two days per work, I also joined the adoption committee and took over responsibility as administrator for the shelter’s Facebook page. I only read 66 books last year. Last year I read 103. I liked most of what I read but only a few stood out as exceptionally memorable. The Birds of Pandemonium by Michele Raffin. 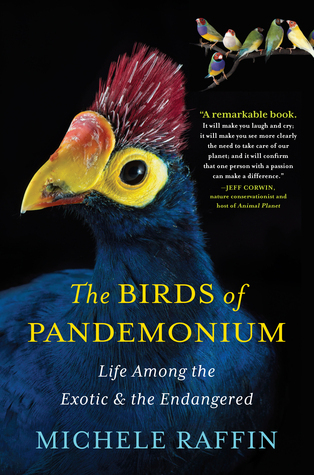 Pandemonium is a bird sanctuary and conservation organization dedicated to saving and breeding birds at the edge of extinction with the goal of eventually releasing them into the wild. This is the author’s story of how her small aviary evolved into a bird sanctuary. 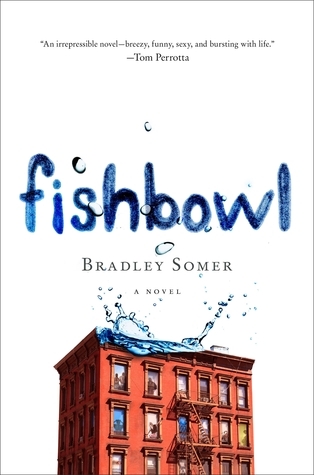 A unique, quirky tale that takes place during the time it takes a fish to fall from his bowl on the balcony of the 27th floor of an apartment building, give or take a half hour. This was brilliant, different, and enjoyable. One of the most entertaining books I’ve read this year. 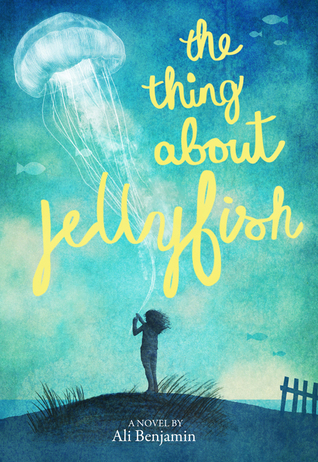 The Thing About Jellyfish by Ali Benjamin. When 12-year-old Suzy’s best and only real friend Franny dies, she becomes obsessed with proving the reason for her death was from a jellyfish sting. Beautifully written, thoughtful story for young readers. I enjoyed the blending of genres — history, science fiction, fantasy, and a little romance, and the way the complex plot unfolded in bits and pieces journeying back and forth in time as we built towards a climactic ending. 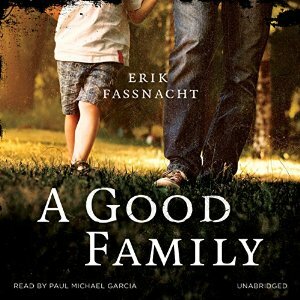 Excellent portrait of a seriously dysfunctional family with realistic problems in a real-life setting. I initially chose to read this because the story is set in a Chicago suburb, a real town and where I lived for several years, and stumbled into a very engaging novel. But this could also be the family next door in your neighborhood. This is an overlooked gem and one I highly recommend. Becoming Steve Jobs by Brent Schlender. While I don’t own any Apple products other than a iPod, I find the company and the man that built it fascinating. This book has much of the same information that we got in Isaacson’s authorized biography, but it’s told from a different perspective. The authors had known him for many years and choose to highlight his growth and development rather than other people’s opinions. 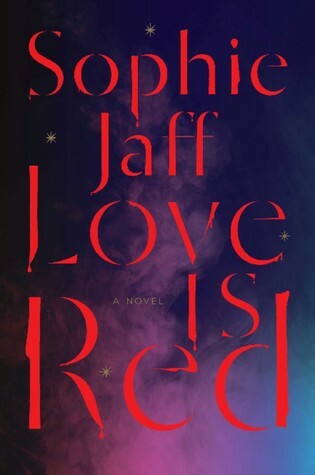 Love Is Red by Sophie Jaff. A suspenseful thriller with elements of horror, fantasy, and the supernatural. Although it was obvious early on who the killer was, it was the suspense that made this book a winner. It’s creepy and scary, but it’s also creative and different, making it a favorite for me. This is a mesmerizing story that was quite different than what I was expecting, and best read without knowing much of the plot. Beautiful, emotional, and at times cringe-worthy, young Caitlin’s strength and innocence kept me rapt as I was swept along to the conclusion. Nice wrap up. Thanks for sharing. 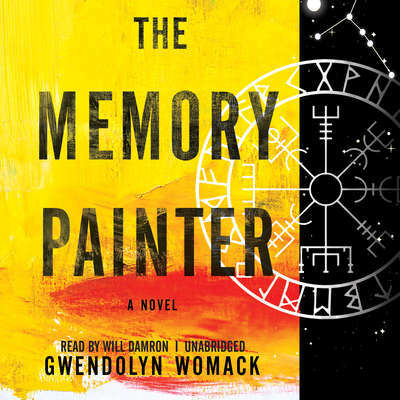 The only book I have is The Memory Painter. I haven’t read it yet, but how much sci-fi and fantasy does it contain? I really don’t read those two genres. My reading was down too – I think I’m too distracted with other things. 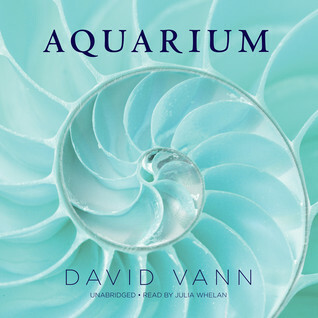 I’ve only read one book on your list – Aquarium – and it made my list of favorites too. I think I have a few of the others in my stacks. I love the sound of A Good Family…and Love is Red, too. 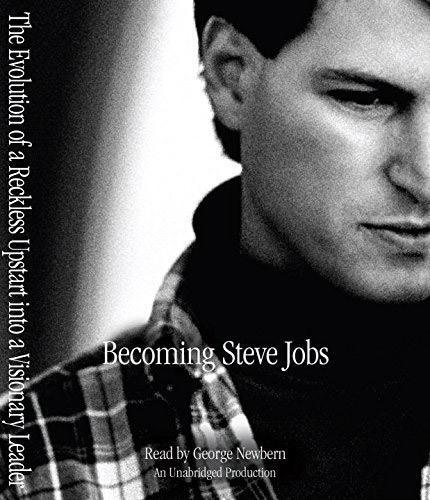 I am also intrigued by Steve Jobs…especially after seeing the movie Jobs with Ashton Kutcher. Enjoy your New Year! Wonderful wrap-up post,Leslie! I’m interested in reading many of the books on your list. I loved all the books on your list that I’ve read, but I see there are some good ones I missed. Thanks for the recommendations. I haven’t read any of those but I’ve been seeing Aquarium on lots of lists.